WRD 399: Internship allows students to complete an internship for academic credit while gaining valuable work experience. Internships offer opportunities to network and build contacts, to contemplate future career goals, and to practice writing in specific, professional workplaces. The description for the course can be found on the course descriptions page. Students interested in taking WRD 399 should consult with either Jeff Rice, Chair, or Mike Pennell, Director of Undergraduate Studies. Both will also help students identify possible internships. Students should also follow WRD's Facebook page - https://www.facebook.com/ukwrd - for internship and job postings. Career Builder Jobs advertised jobs in Kentucky. Marketing/PR Writer and Administrator: This intern will assist with creating newsletters, blog posts, media pitches, website updates, marketing research,assisting with the creation and implementation of PR record keeping and marketing campaigns, updating LAL’s style guide, and revision and expansion of press contact list. Excellent writing skills required (writing samples will be requested prior to interview). Video and/or photography skills a plus but not required. 1. With homepage construction - explaining the company message, creating talking points for customers. 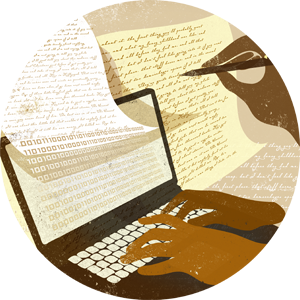 2- Blog post writing - explaining the company's complex manufacturing in researched blog posts. An excellent opportunity for students in WRD. Kentucky Refugee Ministries - http://kyrm.org/ - is seeking an intern that possesses strong writing skills, in addition to knowledge of digital communication and social media. The position includes flexible time commitment, internal training, and professional development. Students interested in developing projects will find valuable experience. An ideal opportunity for WRD students. What are WRD 110/111 & WRD 112?